Search our application library below or download concentration tables under the corresponding tab above. To find your application use the filters for Industry, Sample or use Full Text Search. Any combination of filter and full text search is possible. Note that the full text search yields only matches that include the exact word sequence of your query. 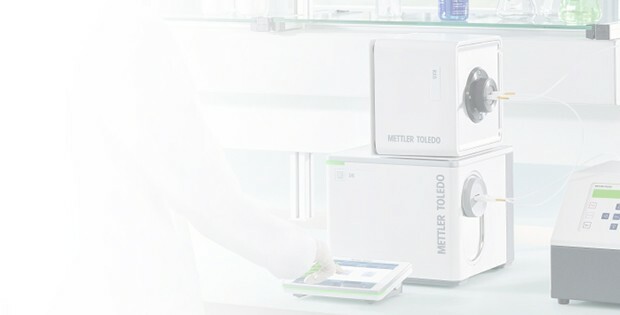 Results will be shown according to each Analytical Chemistry technology from METTLER TOLEDO products. For more help, please click here. The application chemists of the METTLER TOLEDO Analytical Chemistry market support group have prepared more than 1000 of ready-made analytical chemistry applications for use with the wide range of METTLER TOLEDO instruments. These proven and well-tested applications will help you to get accurate results quickly. The on-line search engine allows you to search through the database and find the application that suits best to your needs. Hydrometers, pycnometers, and digital hydrometers are used in quality and process control to determine the density of liquids. Learn more here. Learn about density, which instruments are used for measuring density, common applications, and more! From BRIX determination to multiparameter analyses, METTLER TOLEDO is your partner for all your density and refractometry needs. Our instruments provide consistent and accurate measurements and ensure compliance with international and regional regulations. Find below the regulations and standards our instruments comply with, for your respected industry. For more information on our digital density meters and refractometers, and how they compare to manual methods please see our Comparison of different measuring techniques. For density measurement guides, whitepapers, webinars, or more information about our products, please visit our Expertise Library. For specific applications in density visit our Applications Library. For refractometry measurement guides, whitepapers, webinars, or more information about our products, please visit our Expertise Library. For specific applications in refractometry visit our Applications Library. With a remarkably simple user interface, EasyPlus Density Meters allow anyone to obtain accurate results in the lab or near the production line. Made for use in the lab and on-the-go, the portable density meter is lightweight, ergonomic and easy to use. Measure density, refractive index, pH, color, titration and more with our multiparameter system. Increase data quality and save time by measuring all parameters at once.